I composed this piece as part of a music production course for my Bachelor’s degree in Interdisciplinary Studies with Berklee College of Music. While taking classes I was on tour as music director with the Cirque du Soleil show Varekai and was fortunate enough to have our violin player from the show, David Piché, record the violin tracks while in Vilnius, Lithuania. On my tour with the Cirque du Soleil show Varekai, one of our destinations is the Oslo Spektrum arean in Oslo, Norway. 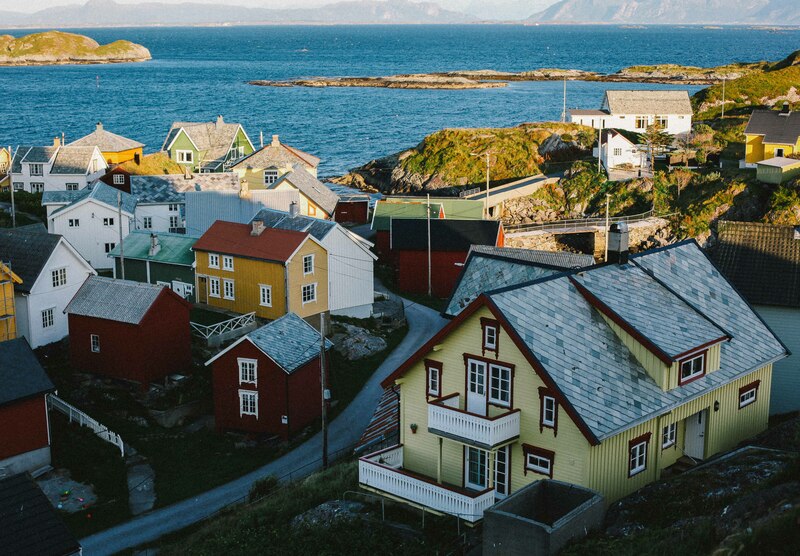 The end of August 2017 was able to spend a week with my cousin to trace our ancestry back to my great grandparents on the island of Ona, Norway. It was our “back to our roots” tour. “Tarragona” is a piano improvisation by Conrad Askland. Recorded July 31, 2017 in Tarragona, Spain. In this video you can see the far stone wall behind the piano. That stone wall is part of a guard tower that is dated to be at least 800 years old. Used at one point as a guard tower and later as part of a winery. I thought about the long history of this special place in Spain and let my fingers color the imagination of what I saw in my mind’s eye. “Sunday Morning” from the Tarragona Piano Sessions by Conrad Askland. Session 3-2. Recorded July 31, 2017 at La Casamurada Recording Studio, Tarragona, Spain. Audio engineer: Jesus Rovira. Live piano improvisations in the heat of summer. Gospel and Southern church piano style. Solo piano improvisation on “What a Friend We Have in Jesus” (public domain). Part of Conrad Askland’s Tarragona Piano Sessions recorded July 31, 2017 in Tarragona, Spain. “St Clair” is a piano piece for my friend Judy St Clair. Judy and her husband were mentors of mine when I was younger and they guided me through many adventures. Some were sweet and some were painful, but still they were all adventures. While playing this piece, I was remembering the light and playful camaraderie we had during those times. Style might be called a new age piano improvisation. On July 31, 2017 I recorded four sessions of piano improvisations at La Casamurada recording studio in Tarragona, Spain. Most of the improvisations are light impressionistic pieces that some might call neo-classical or new age piano style. “Alberti’s Dream” is a piano improvisation by Conrad Askland. Recorded July 31, 2017 in Tarragona, Spain. For this piece, I started with a simple Alberti Bass in Bb and then just followed where it led me. Session 3-8 of my “Tarragona Piano Sessions” improvisations. Alberti bass is a particular kind of accompaniment figure in music, often used in the Classical era, and sometimes the Romantic era. It was named after Domenico Alberti (1710–1740), who used it extensively, although he was not the first to use it. My Bachelor’s degree from Berklee College of Music is now complete. I graduated with a B.P.S. (Bachelor of Professional Studies) in Interdisciplinary Studies. It was an amazing experience. 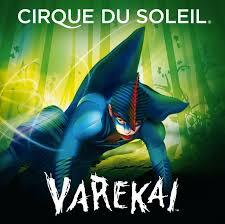 I am thrilled to be joining Cirque du Soleil’s show Varekai as bandleader and keyboardist on their world tour. The show has been on a world tour since 2002 and I will be joining them on the final legs in Europe and ending in the United States in 2017. Skagit Impressions Three from the Gary Brown and Conrad Askland project. Farmland photos of Skagit County, WA by Gary Brown with music by Conrad Askland. This third impression includes my composition “Adaptive Layer Battle Theme One.” This is a five layer composition for use in video game adaptive scoring. Each of the five layers are complete unto themselves, but also layer to create different levels of tension. In a gaming environment these different layers would be triggered in and out by player actions and states of being. For the Skagit Impressions Three video, each layer builds sequentially. Starting with layer one – then layer one plus layer two – then layer one two and three and so on until all five layers are playing together. In the video below, I show how this same music might be used in a gaming environment. The layers are used for the different states and actions of a character in the video game Uncharted 3. Skagit Impressions Two – Music as Water. Photography by Gary Brown. Vocal by Leisha Skinner. Music and Melody by Conrad Askland (ASCAP). This is the second in the series for the “Gary Brown and Conrad Askland Project” where I take the photography of Gary Brown and create music to accompany his photos. We do this to express our impression of the natural beautiful landscapes and farmlands of Skagit County, WA. This is also the are famous in the spring with tourists for the Skagit County Tulip Festival. There are many photographers that take photos during the tulip season, but Gary Brown takes photos of these landscapes all year long so you get to see different hues and variations of the landscapes. The music I wrote for this, which I call “Music as Water” was part of a weekly assignment for a class on Songwriting for TV and Film that I took with Berklee College of Music. The assignment was to write for the least number of instruments possible, with the option of adding a vocal. I chose a piano and vocal arrangement. There is an original piano track and then I added some light fills in the top octave in between the vocal lines. The music stays in Cm (natural minor) and floats in a 12/8 time signature. When we recording the vocal, we experimented with several different vowel sounds. At the final mix I found myself enjoying the natural “Ah” sound, so that is what you hear in the final mix. “Where None Would Go” (Gettysburg Memorial Song) is a piece I wrote to commemorate the Battle of Gettysburg, July 1-3, 1863. This song released July 4, 2016. Words and Music by Conrad Askland. Vocalist: Leisha Skinner. To a variation of the melody “Shenandoah”. I was inspired to write this song after spending many hours of discussion on the Civil War with my friend, Joe Bowen. He is a scholar of American History where he studied the Civil War at Harvard College. He will setup battle tactics and battle strategies on tables using napkins, playing cards, cups – whatever is around – to really immerse me in details of the Civil War. The conversations usually start with prose, then get into historical details and facts of the battles and politics of the time, then end with philosophical musings, anecdotes and quotes from soldier’s letters. Photography of Skagit County, WA farmlands by Gary L. Brown with piano music and nature sound field recordings by Conrad Askland. Gary Brown is known locally as one of the premier photographers of surrounding landscapes in the Skagit County farmlands of Washington State in the US Pacific Northwest. He also does excellent live theater photography and has been photographer for many theatrical shows that I have been involved in locally. A few months ago he took me out on a photo shoot with him to hunt for different sunlight, shadows and cloud formations after a local rain shower. It was incredible to get a sense of how he views our local land through his lens. These are questions I received about my musical “Romeo and Juliet”. My musical version of RJ premiered in January 2015 at the Historic Lincoln Theatre in Mount Vernon, WA. Directed by Joe Bowen and presented by META Performing Arts. The challenge set for this production was to score the entire musical using only Shakespeare’s original text. No watering down the words. No slang and updated lyrics. And no hipster modern setting. We set the set and costumes to the original Shakespeare time period of the late 16th century. It was a very challenging project and extremely fulfilling. Here’s a link to check out original musicals by Conrad Askland. How have you adapted the themes of the play to adapt and suit the modern day audience and politics? Yes and no. In my rendition, I use Shakespeare’s original words. For the premiere run I requested period costumes and sets (1590’s). Of course, a future company could choose to change that approach, but to me those considerations are superficial. To my personal taste, those changes detract instead of adding to the production. Musically, I scored the show in a combination of North American Broadway style and light opera. So it was the music itself that was tailored to a musical theatre crowd while the text and presentation was true to the period in which it was written.